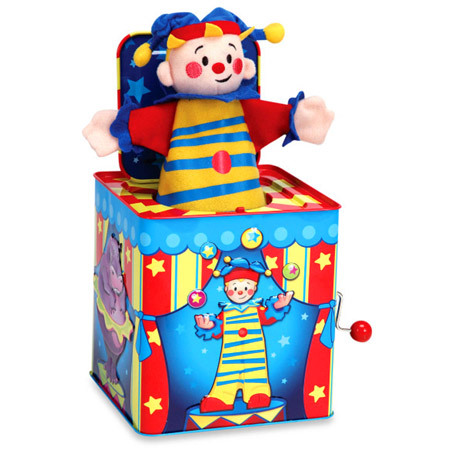 Jack In The Box Musical Clown is a wonderful traditional tin toy which has been around since the 1700's. When the song reaches 'Pop goes the Weasel' the tin boxes lid flies open and the soft cloth Clown pops out. A fantastic toy that little ones never seem to tire of. Our girl at nine still loves to play with it. This toy has a very easy mechanism to operate and the Clown pushes back into the box without a struggle, so small children will be able to reset it. We like this because: "This toy has entertained children for such a long time. We love this!"